Explanation: Is that really another world? Thousands of people the world over lined up last week to see Mars through a telescope as the red planet and Earth passed unusually close together in their orbits around the Sun. 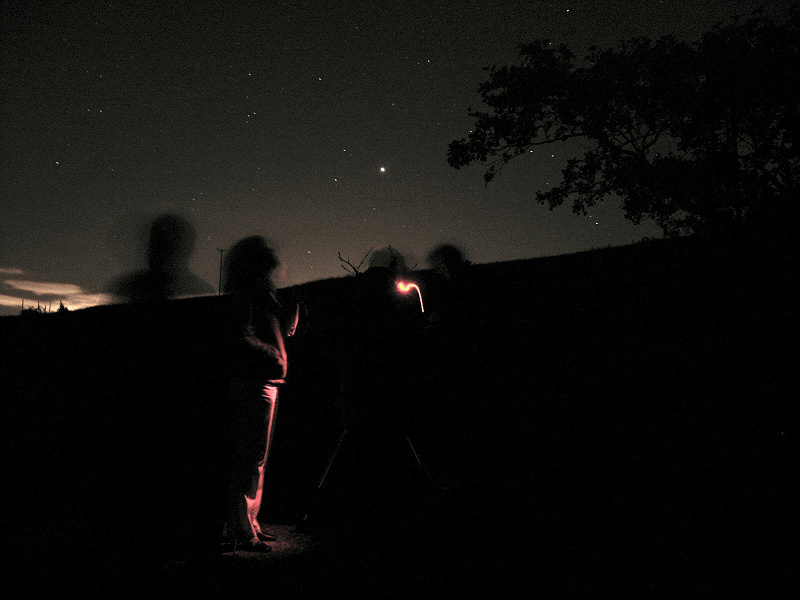 Reviews of Mars were mixed, with some people disappointed that Mars still appeared somewhat blurry. Veteran sky gazers appeared somewhat surprised by the popularity of the phenomenon, as it seemed to many that Mars was not very much brighter than it frequently appears, and the event held little promise for real discovery. Most observers, though, appeared quietly pleased to take advantage of a unique opportunity and see such an uncommon sight. Many were awed by the simple enormity of being able to see the face of a completely different world with their own eyes. Pictured above, a youngster peered toward Mars last week at an East Antrim Astronomical Society star party at the Big Collin Picnic Area north of Belfast, Northern Ireland, UK.